You are browsing the archive for Publication. Anyone with an interest in the fields of the history of science and cartography should read two important new books. The first, A Companion to Science, Technology and Medicine in Ancient Greece and Rome by Georgia Irby, presents a superb overview of its subject (and should have been featured here sooner–apologies). The scope of the second, The Iberian Peninsula in Ptolemy’s Geography by Olivier Defaux (published by Topoi ISBN 978-3-9816384-6-2), is wider than the title indicates. It should be read by everyone with an interest in any part of Ptolemy’s Geography. AWMC is excited to launch a new series of “Maps for Texts,” providing accurate, high-quality maps for a variety of ancient documents which otherwise lack them. For the first entry in the series, we have produced two maps of Ptolemy’s Table of Important Cities, available now in the dropdown menu under Free Maps (or click here). For questions, comments, or suggestions for future Maps for Texts, please email awmc@unc.edu. A new volume edited by Richard Talbert and Fred Naiden will be published this month by Oxford University Press. Mercury’s Wings features numerous maps prepared by the Ancient World Mapping Center; special thanks are due to former Graduate Research Assistant Alexandra Locking, who served as lead cartographer on the project. The book features numerous contributions outstanding on the means and meaning of communication in the ancient Mediterranean and Near Eastern worlds, and is sure to interest scholars of ancient connectivity and travel. Details available here. Anyone interested in ancient geographic writing (and those who enjoyed Benet Salway’s excellent talk on Strabo last week) may be interested in the newly published Routledge Companion to Strabo, edited by Daniela Dueck. 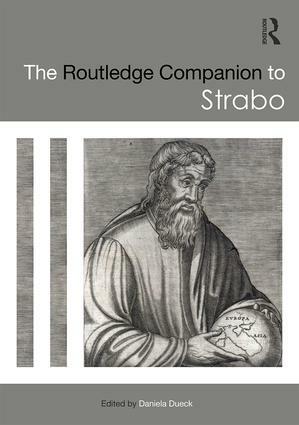 Details available here: https://www.routledge.com/The-Routledge-Companion-to-Strabo/Dueck/p/book/9781138904330. 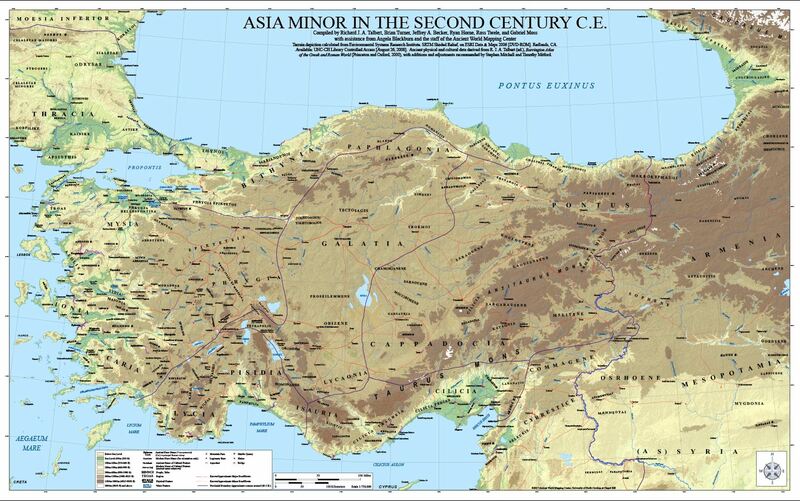 Wall Map now Available: Asia Minor in the Second Century C.E. After several years of preparation, AWMC’s newest wall map is now available online. This map is a successor to that of J.G.C. Anderson (1903) and its partial revision by W.M. Calder and G.E. Bean (1958). It was displayed in draft at the ‘Roads and Routes in Anatolia’ conference organized by the British Institute at Ankara (March 2014). It was then revised with a view to being issued with the volume planned to follow that meeting in due course. Meantime the Center is now making the map available online. The map is at 1:750,000 scale, and prints at a size of 80 in x 50 in (at 300 dpi). For a link to download the map, please email awmc@unc.edu. 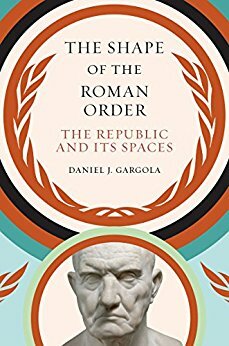 Anyone interested in ancient space and geography should take a look at Dr. Daniel Gargola’s new book, The Shape of the Roman Order: The Republic and Its Spaces, out soon from UNC Press. 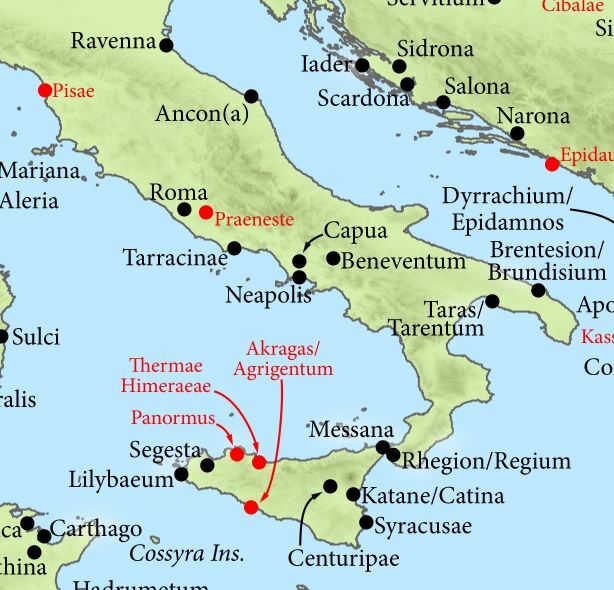 Featuring several maps produced by the Ancient World Mapping Center, this fascinating monograph examines how Roman Republican elites conceived of the territories and spaces under their control. The book is available for preorder here. Those who enjoyed Dr. Richard Talbert’s recent work on Roman portable sundials may be interested in a recent write-up of his work in Smithsonian Magazine; it is available here. AWMC Founder Richard Talbert’s new book, Roman Portable Sundials: The Empire in Your Hand is now available for preorder from Oxford University Press. 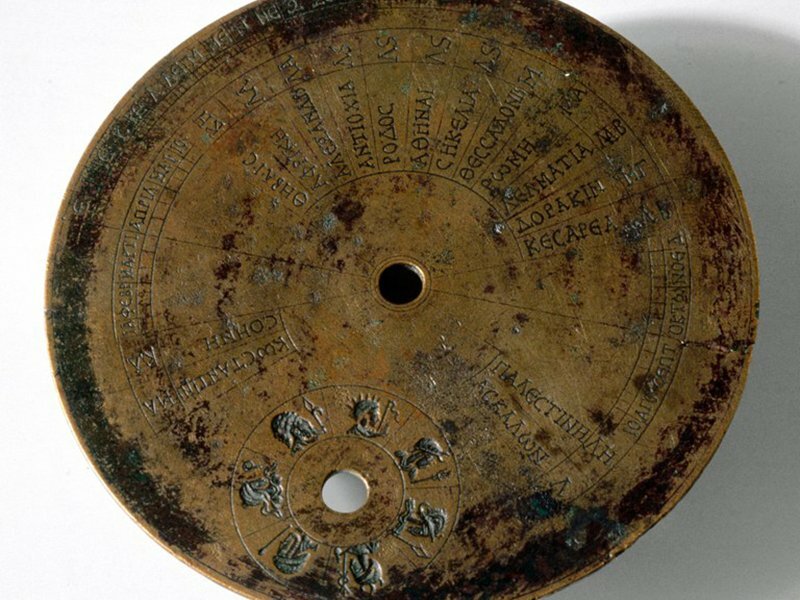 Featuring numerous maps and illustrations prepared by the Mapping Center, the book uses Roman portable sundials as a lens into ancient worldviews, perceptions of geography, and Roman identity. Use the code AAFLYG6 at checkout to receive a 30% discount from oup.com. Anyone interested in G.I.S. reconstructions of the ancient world should check out an excellent review article published in the latest edition of Early Christian Studies. Written by UNC Ph.D. Alumna Sarah Bond and Peter Martens, the article situates the Historical Atlas of Ancient Christianity (ed. 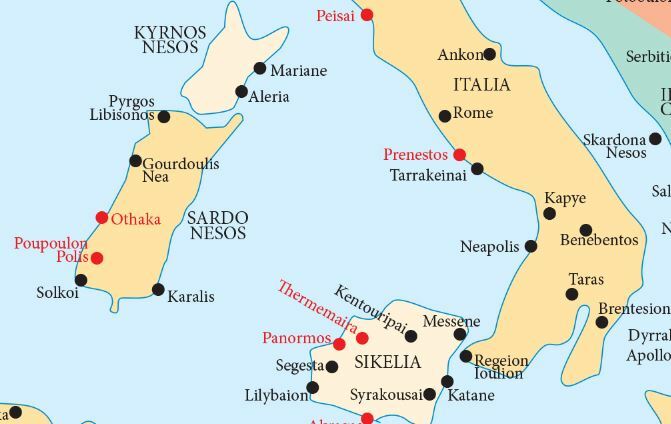 Berardino & Pilara) within the broader context of digital mapping projects of the ancient world. In addition, historians of cartography will enjoy Ségolène Débarre’s Cartographier l’Asie Mineure : l’orientalisme allemand a l’epreuve du terrain (1835-1895), which sets the 19th century cartography of Asia Minor against a background of German and Ottoman imperialism. Note also Dr. Richard Talbert’s recent review in BMCR. 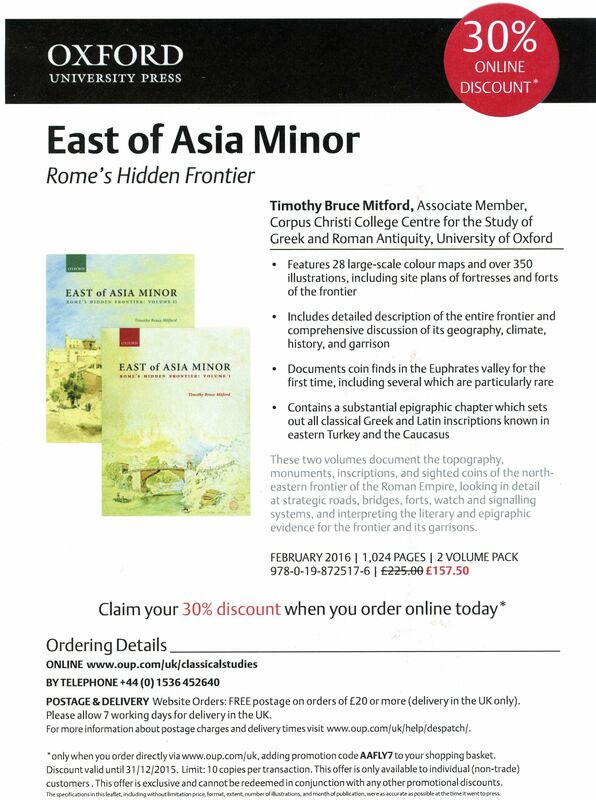 Noteworthy for its excellent maps of the ancient world, Timothy Bruce Mitford’s East of Asia: Rome’s Hidden Frontier will appear in February, 2016 from Oxford University Press.